Merry Christmas! 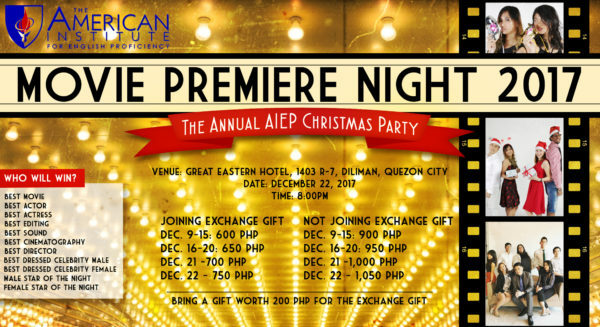 Get ready for the most glamorous party of the year and celebrate the holidays with your AIEP family! Join us on the red carpet for the AIEP MOVIE PREMIERE NIGHT! Strike a pose and look your best! Let’s all be celebrities on Christmas this year! Please come in your formal attire!